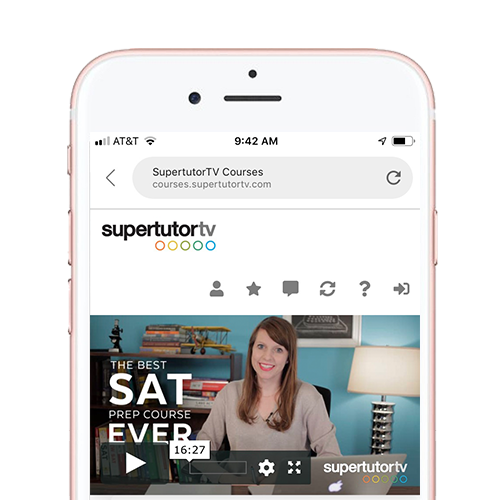 ACT, SAT, and College Prep | SupertutorTV | Learning Made Awesome! You need to prepare for exam day and get a great score, right? And you want something that works! Our subscribers so far are reporting the SAME results as Brooke's private tutoring students, at a fraction of the price! Original drills and practice sets with hundreds of questions per course, and videos to cover every section. Plus practice with authentic tests from the test maker (a free official prep book with authentic practice exams ships to all US purchasers). Then learn from what you miss with our video explanations. There's no better way to OWN this test. No more boring prep! Each course includes 75+ hours of HD video made by entertainment industry professionals that will keep you engaged and learning in a more awesome way! 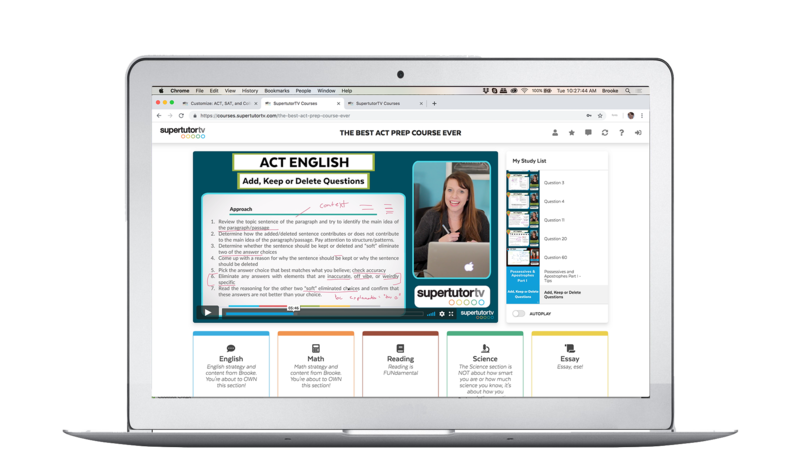 The Best ACT Prep Course Ever and The Best SAT Prep Course Ever were designed for you to study anywhere and everywhere! Private tutoring methods & results without the private tutoring price! Every tip, trick, and strategy is available to you right away. Brooke Hanson, perfect scoring tutor and elite test prep mentor, reveals the secrets to acing the ACT and SAT.